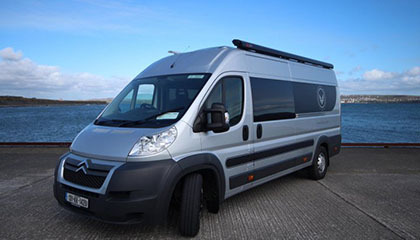 This Motorhome from Vanderlust is the ultimate vehicle for accommodating four people. 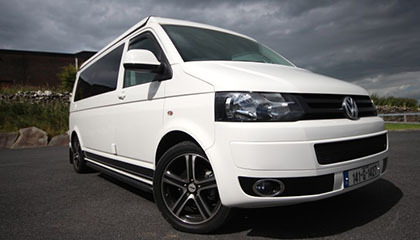 It is agile and light to drive and has generous living and storage space. 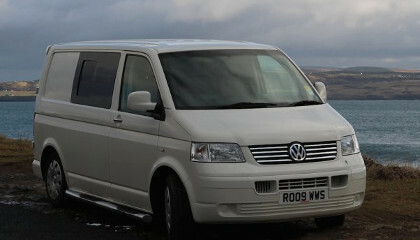 It has two permanent bunk beds, and a double bed which is made up using the rear 2 seats. Citroen Relay XLWB, 2.3 TDi, 6 speed manual, power steering, ABS, driver's airbag, central locking, AM/FM Radio, CD player, 3 burner gas hob, 110l Fridge/Freezer, microwave, 240v at campsites, 12v leisure battery, voltmeter, battery charger, cold and hot running water, central heating, shower, toilet, 70l fresh water tank. Double bed 1300 x 1850, 2 bunks 700 x 1800. 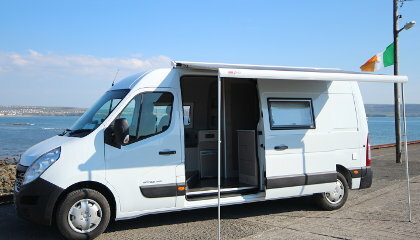 Vanderlust campervans are supplied with living and cooking equipment as shown below. You can use your own personal equipment and reduce the overall costs OR take advantage of the rental equipment available from Vanderlust Ltd that suits your particular needs, the choice is yours.